Cervical spinal cord injury is the most serious of all cord damage conditions. The cervical spine consists of 7 vertebral bones, 5 intervertebral discs, 1 transitional intervertebral disc and a wide range of neurological tissues, including the actual spinal cord. When this cord is injured, through trauma or disease, effects are often terrible and wide-ranging. In fact, patients may suffer symptomatic expressions in any area of the anatomy which is served by the nerves below the injury. This investigative report provides an overview of cervical cord injuries, their effects and the most common treatment options. What Causes Cervical Spinal Cord Injury? Disease can attack the cord, causing myelopathy. 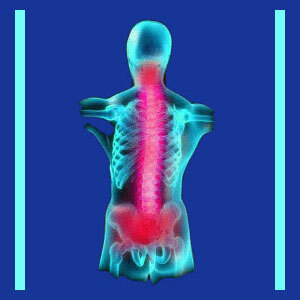 Infectious processes can attack the spinal cord, causing myelitis. Congenital or developmental issues can affect the viability of the spinal cord. These may involve compressive processes or degenerative processes, such as spinal cord syrinx formation. Trauma can injure the cord from piercing, compression or tearing events. 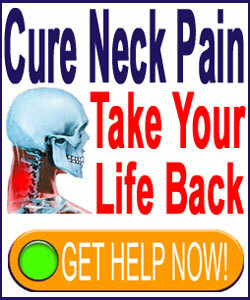 Tumor formation on or near the spinal cord can cause damage. The most commonly cited reasons for neck injury include motor vehicle accidents, sporting injuries, gun shots, acts of violence and significant falls. Potential effects of any cord damage are always serious health threats. Spinal cord traumas might produce a variety of symptoms, ranging from minor dysfunction to a complete lack of functionality. Incomplete spinal cord injuries in the cervical spine mean that some degree of neurological functionality exists below the affected level. This functionality might be very limited or almost full strength. Incomplete cord injuries range tremendously in their effects, with the least of them causing barely noticeable symptoms, while the worst might cause a condition just short of complete paralysis. The diagnostic verdict for a person with incomplete injury might be a partial paraplegic or partial tetraplegic, depending on the level of injury and the symptoms presented. Most cervical spinal cord damage victims become partial tetraplegics, since virtually all injuries in the cervical region will affect the arms and legs alike. Complete spinal cord injury in the cervical spine means that absolutely no neurological function remains below the affected level. These patients are diagnosed as complete paraplegics or tetraplegics, with the majority of cervical spinal injuries falling into the latter classification. Complete cord injury results in paralysis and an objective lack of nerve activity below the damaged cord location. Obviously, when discussing spinal cord injury, the higher the level and the more damage, the worse the condition is likely to be. Lower level cervical spinal cord injury can spare some arm functionality and will also spare the vital autonomic functions of the anatomy. Patients with these types of traumas are more physically functional than those with higher level injuries. The upper cervical regions are the very worst to suffer an injury. In these instances, death may result immediately or eventually. For patients who survive and stabilize, many have lost all function in every limb and might even require assistance with the most basic tasks of life, such as breathing. Complete spinal cord injury is virtually always a permanent condition, while incomplete damage may improve or worsen over time. Currently, there are only a few treatment options for spinal cord trauma, with pharmaceutical products helping some patients and physical therapy doing the rest. Stem cell research to regenerate an injured spinal cord is promising, but has been largely hampered by ethical, religious and political debate. We have written much on stem cell research. Please use the search function in the right column to find more articles on the topic.